What do I look for in a lip balm? It gets absorbed quickly, feels light and makes my lips soft and moisturized for a long time. 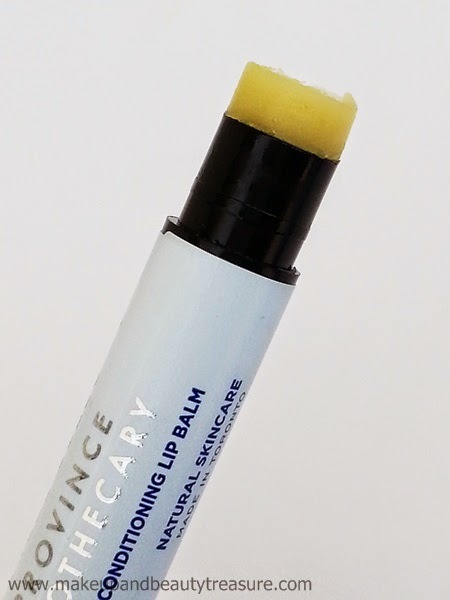 I love collecting lip balms and this repairing and conditioning lip balm from Province Apothecary has been recently added in my collection. Province Apothecary is a Canada based skincare brand that provides organic skincare products to its customers. 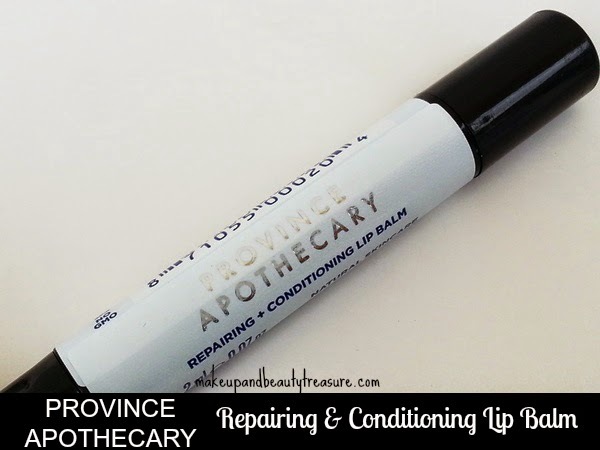 Today I am going to review Province Apothecary Repairing and Conditioning Lip Balm* which is worth $8/Rs 512. Province Apothecary Repairing and Conditioning Lip Balm comes sealed in a plastic wrapper to ensure that it has not been used or opened. The actual product comes in a retractable black tube with the same colored pull off lid. The tube is incredibly simple and gives me an impression of an organic product. It is functional and easy to use. The lid is quite tight and clicks conveniently without any fear of being opened in the bag. At the bottom of the lid, there is a round texture ring which needs to be twisted to reveal more lip balm. It can also be twisted back to put the lip balm back down in the tube. 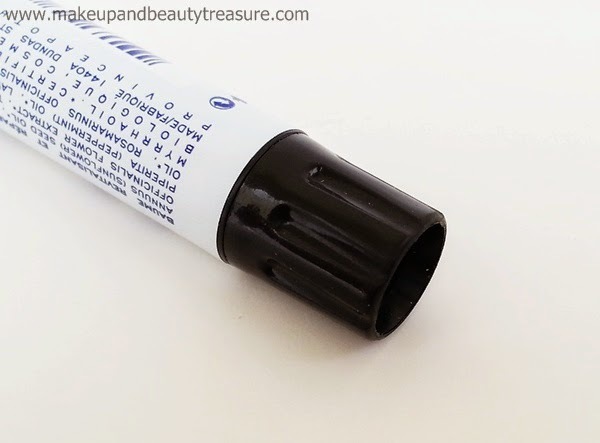 The 1/4th part of the lip balm can be seen as soon as the lid is opened and you do not need to twist the tube. It is a clear lip balm and has a strong though not overpowering scent of various essential oils. The scent fades away and doesn't linger around. The lip balm is soft and smooth in texture with creamy consistency. It spreads and applies smoothly on lips without feeling heavy, greasy or waxy. It does not release clumps and feels smooth on the lips. My lips feel protected and moisturized the moment I apply it on my lips. The lip balm doesn't sit on the surface of the lips but sinks in comfortably. It makes my lips feel soft, supple and nourished instantly without leaving a sticky residue behind. It gives a nice sheen to my lips making them look pretty and fantastic. It lasts for quite a long time on my lips but I have the habit of reapplying it anyway. It doesn't have a weird taste unlike other lip balms. It heals and repairs dry and chapped lips within a week of continuous usage. The lip balm is incredibly moisturizing due to the presence of beeswax and other oils as ingredients. It leaves my lips soft and smooth and I would love to use it in winters when my lips get really dry and chapped. I also love using it as a base for lipsticks with dry texture. 1/4th part of the lip balm is revealed as soon as the lid is opened! • Easily available on website. • A bit strong scent though it does not causes headache. • Little pricey for a lip balm but then it is organic. Overall Province Apothecary Repairing and Conditioning Lip Balm is a lovely and effective organic lip balm that keeps my lips soft, smooth and moisturised for the majority of the day. The scent is a bit strong but it fades away pretty soon. I love the sleek packaging and it does not consume much space in my bag. If you have dry and chapped lips then I would HIGHLY recommend it to you as it contains all natural and organic ingredients. 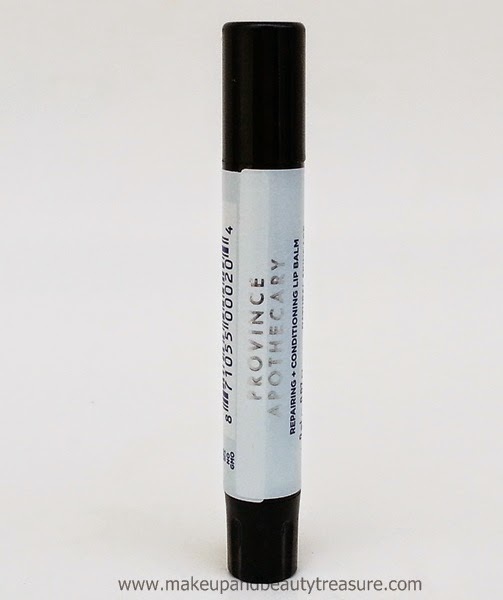 Have you tried Province Apothecary Repairing and Conditioning Lip Balm? How was your experience? What is your favorite organic lip balm? Share in the comments section below! Sounds just perfect!! Sadly not available here, locally..! Yeah but they do provide int shipping! This sounds nice Megha, cute looking too! I should try this out in the winter! Yeah Natalye. It instantly soothes the lips! Great detailed review...this balm sounds really nourishing. I struggle with dry lips so $8.00 for a balm that works and conditions well, is worth it to me. Agreed Keisha if hproduct works then spending few more bucks does not hurt! Thanx so much! Lovely review Sen! Looks like a decent balm to me. Thanx Bush. Yeah its an effective lip balm!